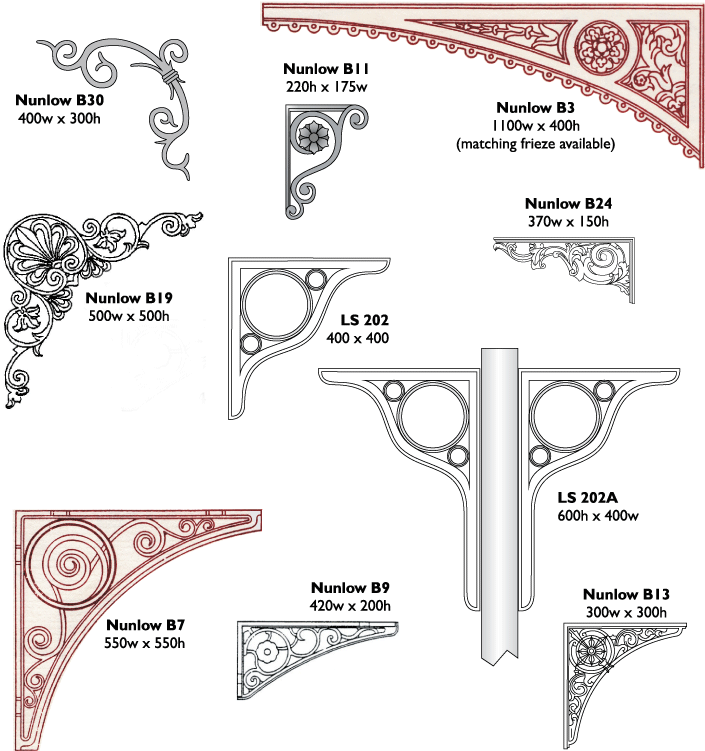 Some of the many spandrel bracket patterns we hold for decorative and structural spandrels are illustrated here. We have a range of Columns, Friezes, cross-beams & Crestings that match our Spendrels and Brackets well. We have many more, but some are very old types and no modern drawings currently exist – these are currently being updated. Please do contact us if you want a specific size or design and we’ll let you know if we have something suitable, or how we can make something bespoke. Many of the smaller spandrels and brackets are used to enhance simple architectural structures such as canopies and verandahs. The larger ones can be used to support walkways or balconies.